C.J. Redwine loves stilettos, lemon bars, and any movie starring Johnny Depp. 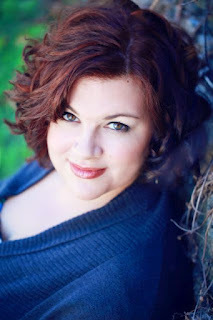 She lives in Nashville with her husband, four kids, two cats, and one long-suffering dog. I don’t like chick flicks. This is one of my hubby’s favorite things about me. I had this amazing humanities class in college that approached each era in history by looking at the literature, art, and music of that time period. It was hands down the most interesting history class I’ve ever taken, and it really showed me that the artists, writers, and musicians of any given time period are, in a way, historians working on interpreting the nuances of their world. Keep writing. No matter how many rejections come your way, or how the market/trends change, put your nose to the grindstone and keep writing. What are some of the common challenges that new and experienced authors face and what advice do you have for over-coming them? New writers have a wealth of things to learn about the craft itself. There’s a big gap between recognizing a good book when you read it and being able to write one. My advice is a) lose your pride and be ready to learn and b) be patient with yourself. Give yourself the time it takes to really hone your craft. You might be ready to query after you’ve written and revised two manuscripts. Or you might be ready after ten. Experienced authors face different challenges. We know how to finish a book, we know how to revise … I think one of the challenges we face is to shut out all the outside voices, the reviews, the opinions, and focus on the writing itself. The way I overcome this is to not read reviews. (Though my hubby or my assistant sometimes call my attention to something particularly lovely.) I am always thrilled when anyone takes the time to read and then discuss Defiance! But that discussion is for other readers, not for me. I’ve let go of my ownership of the story and am busy writing another. For those who are unfamiliar with your novel; Defiance, how would you introduce it? Determined to rescue her father and clear his name, Rachel defies her brutal leader and escapes into the Wasteland surrounding her city-state only to find heartbreak, a monster who can’t be killed, and a war two decades in the making. (Spoiler alert: she also finds love. What was one of the most surprising things you learned in creating Rachel? My characters arrive in my head fully formed. I just get the job of discovering who they are. I knew Rachel was feisty, impulsive, loyal, and brave, but as I peeled back the layers, I discovered she had the capacity to really grow as a character without losing what made her Rachel. I was fascinated by the idea of writing a story where everyone lived in city-states and Defiance grew from there. Once I was about a third of the way into writing the first draft, I realized that this trilogy is really a story about what it looks like to be broken and to find hope again. Having been broken as a child and having struggled for years to understand what healing and hope looked like again, I found myself deeply committed to telling this story so that I could be true to that experience. Do you have a favorite quote that you keep visible in your work environment to help inspire you? No, but I do have quite a few pictures that inspire me. I can’t draw worth anything (my kids stopped asking me for help with school art projects when they were six), but I really respond to art and photography. If you could introduce Logan to any character from another book, who would it be and why? I’d introduce him to Sherlock Holmes. Logan doesn’t have the same inner demons (and he handles his differently) but they are very similar in the way they approach every situation with logic and deduction. I just finished polishing up the sequel to Defiance. Soon I’ll be writing the last book in the trilogy. I also have two other projects I’m working on, but I’m one of those who prefers to keep quiet about what I’m writing. Read widely, in many different genres, and experiment until you find what fits naturally for you. Where is the best place in the world you’ve been? I have two answers for this. The first is China. Our daughter was born in China and my hubby and I traveled there and stayed for two and a half weeks to finalize her adoption and bring her home. It was an amazing trip for many reasons. The second answer (and beware the cheese!!) is that as long as I have my family with me, any place we go is awesome. I’m currently reading THE ROAR by Emma Clayton. What do you think is the most useless class in high school? Well … I suppose that’s different for everyone depending on what you want to do with your life. For me, it was algebra. Not only did I not understand it (Seriously. It was like trying to learn a foreign language. ), no one in publishing has ever once asked me to figure out X and Y and when a train leaves the station at 6 a.m. traveling 329402384290 miles per hour …. However, I do think algebra is totally useful for a lot of jobs, so my second choice would be gym. Running laps around a field in the heat? Scrimmaging against kids who actually play basketball on a team? Learning all the rules for tennis (whose scoring system is also a mathematical foreign language)? Torture. Sadistic torture. I once answered telephones for a call center that handled phone calls to people too rich and important to answer their own phones. If the drama and absurdity of the clients didn’t give me heartburn, the drama of my co-workers did every single time. When I watched Brave! I’ve seen it twice, and I cried both times at the end. C.J. Redwine’s Defiance is the daring story of a daughter’s search for her declared dead father. Knowing her father is the best tracker and courier in Baalboden, Rachel is determined that he is still alive outside the confines of her city. With no father, she is assigned a Protector. When her father’s apprentice, Logan, is assigned to protect her, she is shocked since he’s the man who refused her love. Rattled by this decision, she plans to escape the walls of the city and search for her father. To make things worse, the evil ruler of Baalboden is eyeing Rachel and Logan. Soon, the two suspects that the Commander may know more than what it is known about Rachel’s father. C.J. has crafted a wonderful story full of adventure and romance with compelling characters. The dual Points of View give readers a clear understanding inside the thoughts of the two well-rounded main characters. Readers will witness Rachel and Logan’s strengths and also their weaknesses. The writing allows for readers to be alongside them on their journey experiencing all of the choices they make. The premise promises a fierce and powerful action-packed story with characters that are sure to be interesting. Within just a few pages into this book, it was a clear indication that C.J. will provide her readers with just that. Defiance is highly satisfying from beginning to end. It is a very impressive debut novel from C.J. Redwine and promises her next novels will be of the same caliber. Thank you C.J. for making this giveaway possible. 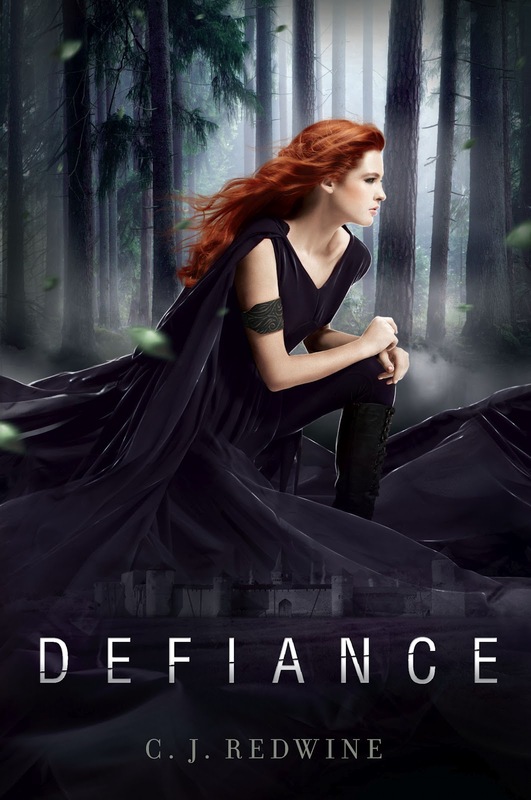 1 Winner will receive an ARC copy of Defiance & Signed Bookmark by C.J. Redwine. Thanks, C.J, for the donations that are making this giveaway possible! thanks for the awesome giveaway!!!! Thank you so much for this amazing giveaway. Love it! Thanks for the giveaway, Ms. Redwine! You're amazing! Thanks for the great giveaway! Can't wait to read Defiance! thanks for an amazing giveaway C.J. Thank you so much for the giveaway! I can't wait to read Defiance!! Thanks for the awesome donations!!! Thank you thank you! You remind me of my best friends sister...beautiful! Thank you so much for the donations.. 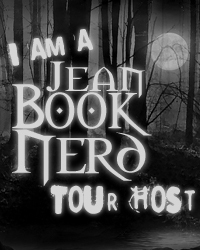 Even if i dont win still looking forward to reading your books! Thank you so much for the donations! Thank you soooo much!!!! I also posted on her FB!!! Thank you for the giveaway & thank you C.J. for the donation! thanks sooooo much for the awesome giveway!! Thank you so much for such a lovely giveaway! I hope I win because this looks like an amazing book. Thanks so much for yet another awesome giveaway. Sounds really cool, can't wait to read Defiance! Thanks for the giveaway! Amazing how many giveaways you've got going on at the same time. Thank you for doing this giveaway for your fans!! Thank you so much for the giveaway. My friends talked about it almost everytime and I'm so curious. thank you so much for the opportunity to win a book. Thanks C.J. for the giveaway! Such a great read! The book deals with real monsters, human monsters and the internal monsters we create. Love it!